We are a commercial photography and design studio. We offer complete photography services, focusing on architectural and product photography, and offer web and print design as well. Our clients are appreciative that we work together as a seamless team without bothering them with the small details. We are also fast-this is important when shooting in the homes of your clients. We get the photography you need without much inconvenience to the home owners. 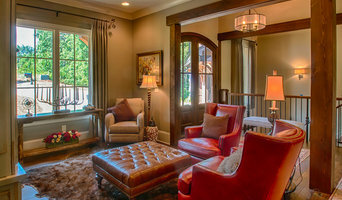 Photo in header shows design by Opulence by Steele. Great photos sell homes! We offer great pricing on real estate photography. Check the pricing page and let us know if you don't see a package that fits your needs. All photos are HDR and turned around usually within one business day. Before you call any potential photographers, make sure they have good references. Friends who've sold or rented homes before are great resources, as are local real estate agents. Look through each North Carolina photographer's online portfolio to make sure what you're looking for is being offered. Once you've done that, it's a good idea to walk around your home and write down exactly how many and what types of shots you'll need. Include any specifications you might have, such as angles, things to consider about your home’s Indian Trail, NC site, the time of day you think will be best and aspects of your home you want to highlight. Find a home photographer on Houzz. Narrow your search in the Professionals section of the website to Indian Trail, NC photographers. You can also look through Indian Trail, NC photos by style to find a room you like, then contact the professional who photographed it.